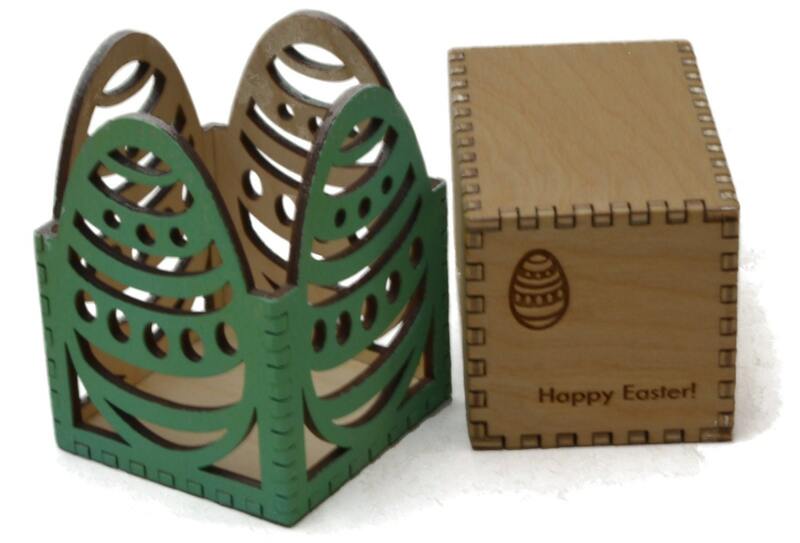 This Easter egg themed box is made from laser cut 1/8" Baltic birch plywood. 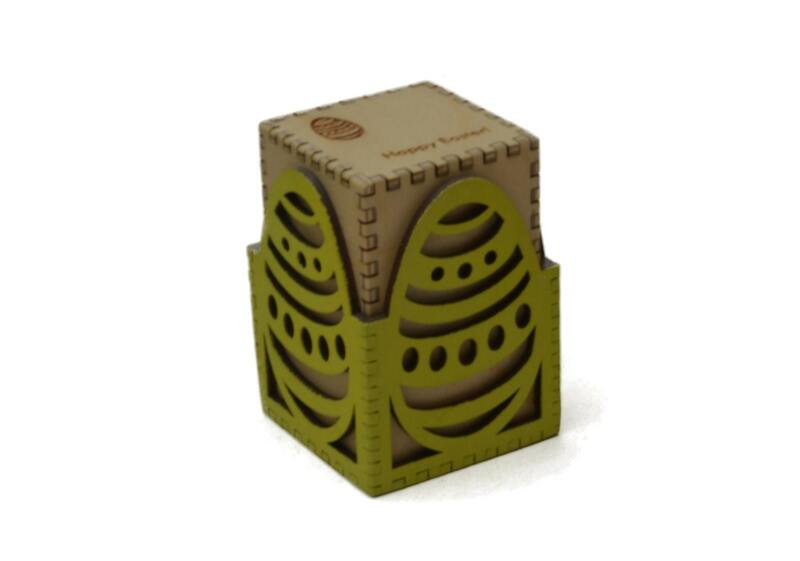 The outer layer is painted with acrylic and the inside of the box is sealed with food safe polyurethane. 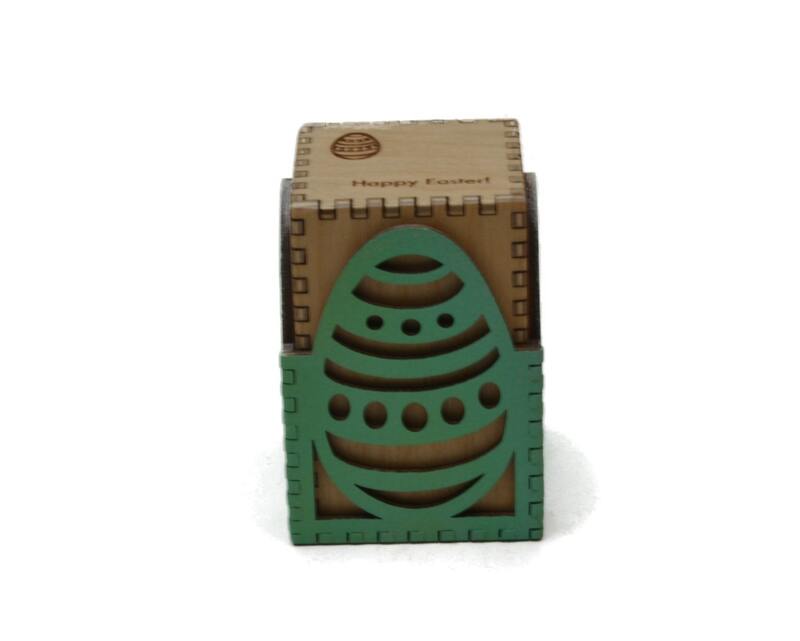 The top of the box is engraved with the salutation "Happy Easter". Height: approximately 3" (7.6 cm). Width approximately 2" (5 cm).